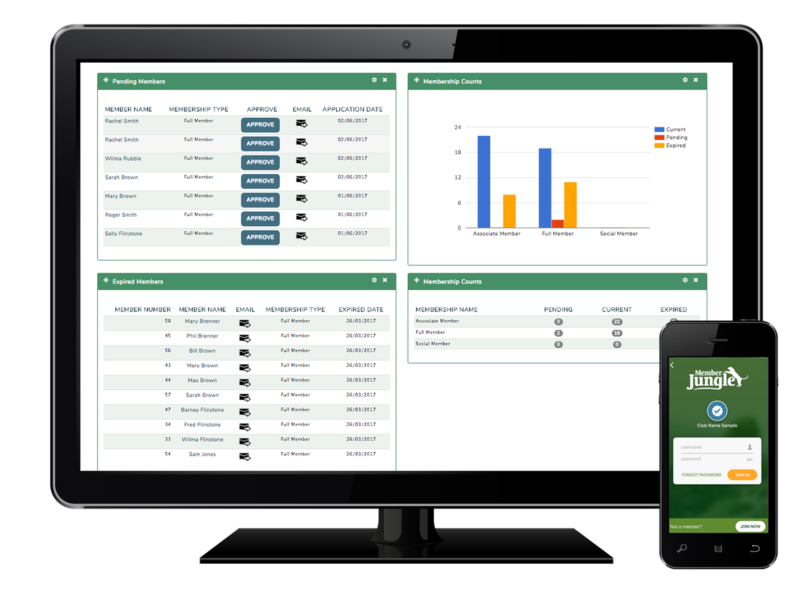 Manage your members quickly and easily with an online membership mangement software database that almost manages itself. Moving your membership online means that members can sign-up, pay and be approved online with little to no intervention. All collected member data is added to a membership database so you can access, search and review all of their membership details from your computer, tablet or mobile. 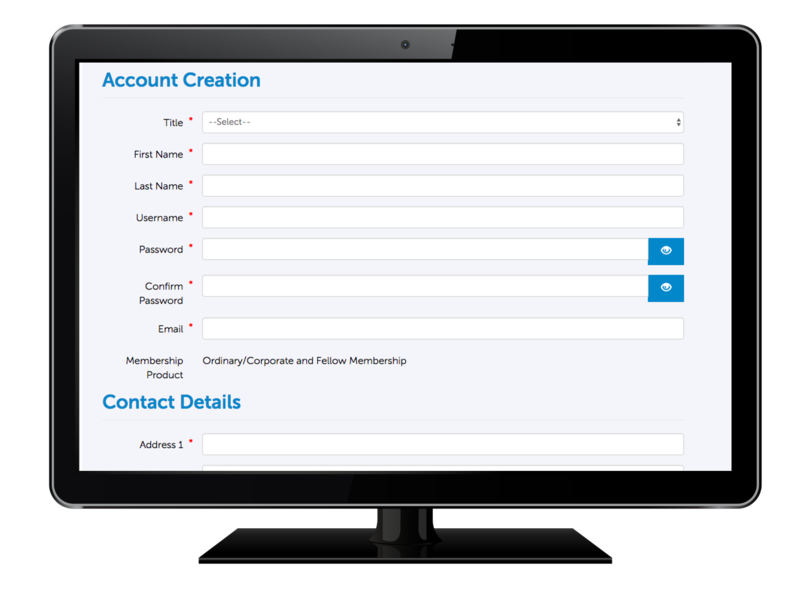 Save administration time by allowing members to login and access and edit their own account. 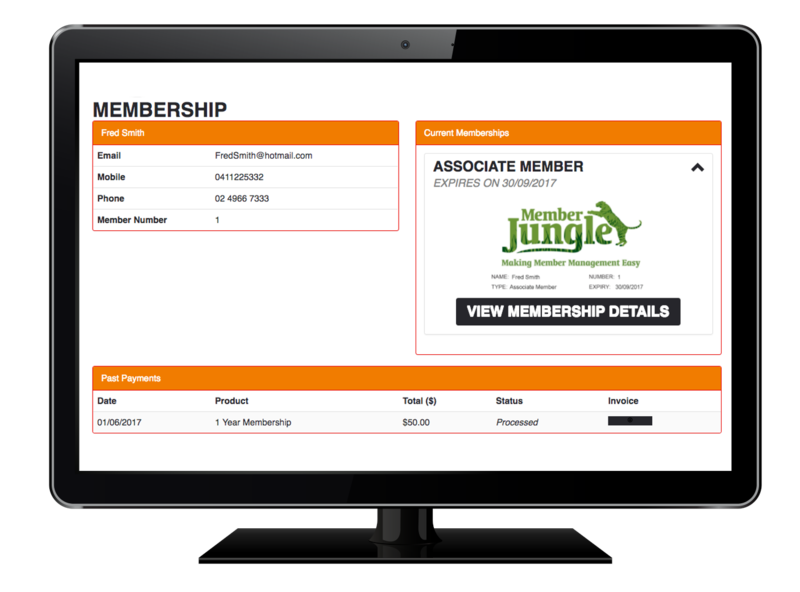 Let Member Jungle take away all of the hassles when it comes to renewing your memberships by automating the entire process. 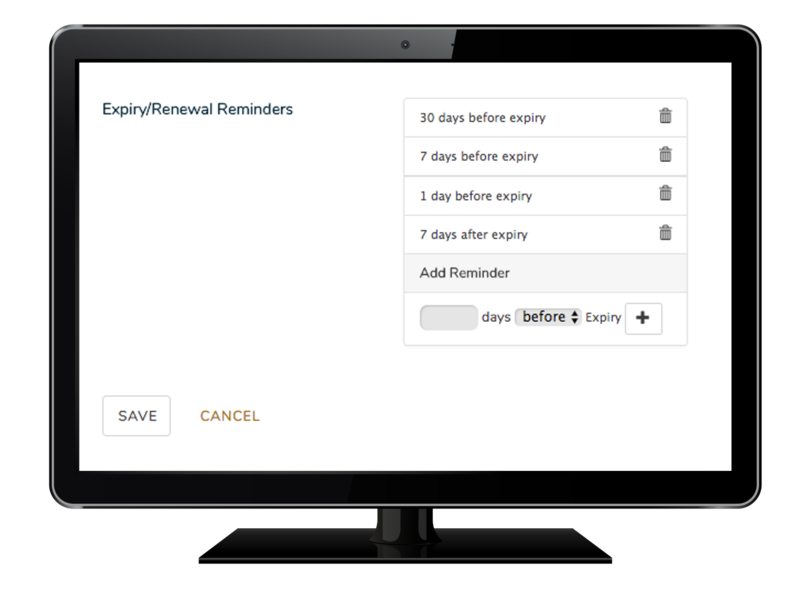 Send SMS messages to remind your members to renew as a final reminder. 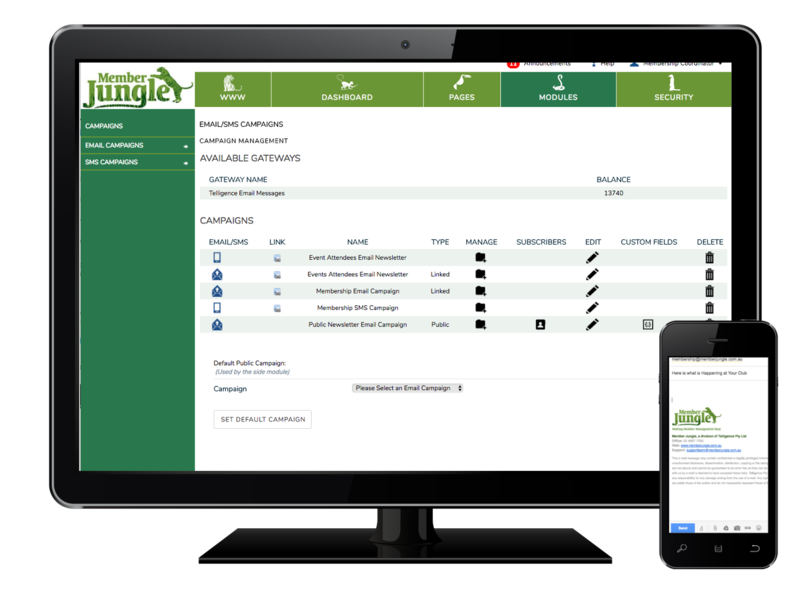 Member Jungle has a number of communication options to best suit your member base so you can get your message to them quickly and easily. 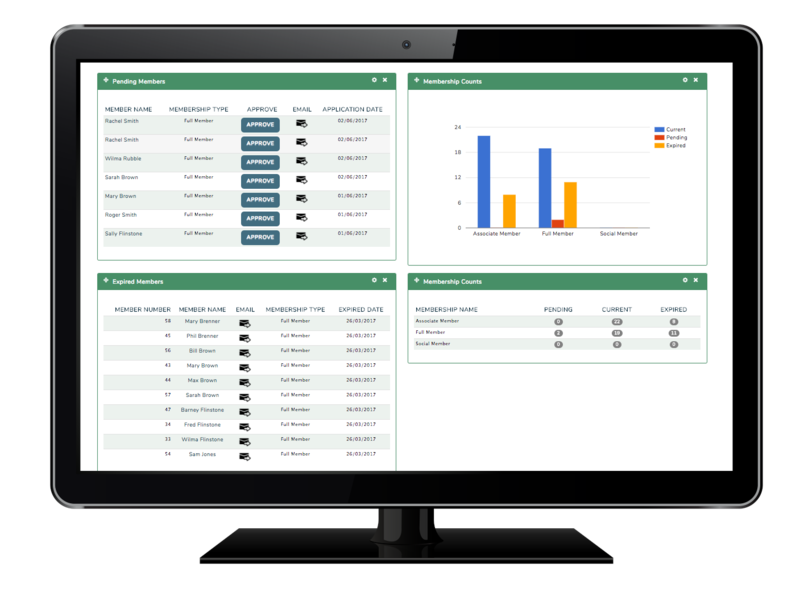 Access and review everything you need to know about your Members via a customisable dashboard a number of exportable reports. Access a number of standard reports so you can search, filter and export everything you need to know about your members and their transaction history. 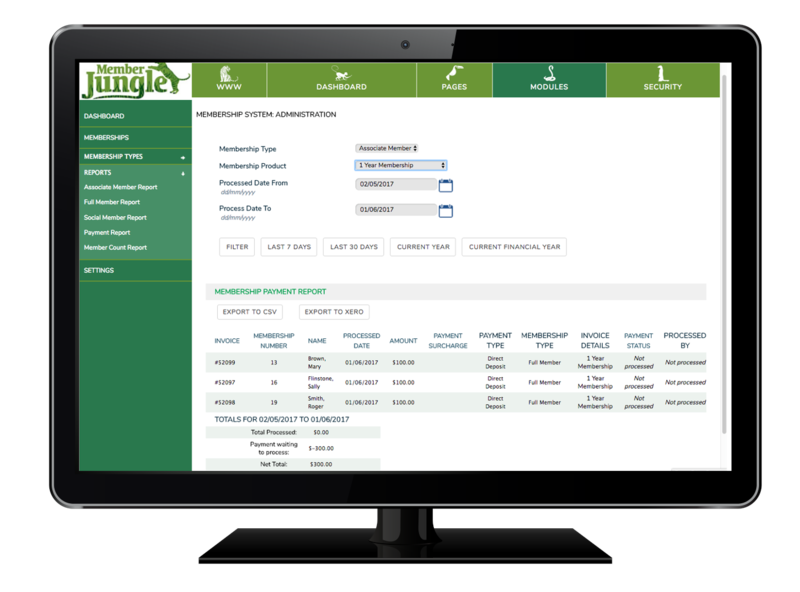 Member Jungle allows you to easily export your payment information and import it directly into Xero or other accounting packages.